Virginia joined The Menkiti Group as a part-time agent in 2004 and transitioned full time in 2014 as a Listing Specialist. She works primarily with sellers and developers in bringing properties to the market and maximizing the net value for sellers. Virginia also has specialized training in international property sales. Prior to this, Virginia was the Director of Global Initiatives for the Institute of International Education. In this capacity, Virginia oversaw the academic assessment portfolio as well as the higher education fairs organized through IIE’s international offices. Virginia also worked very closely with companies and foundations on program development opportunities for international students. Prior to joining IIE she was Managing Director for International Programs at The Washington Center. Her duties included expanding TWC’s reach into new markets and overseeing the quality of the international programs. Fluent in Spanish and English, Virginia has over 15 years of experience on strategic planning, fundraising, international partnerships, program development, assessment and evaluation, financial budgeting, and marketing. 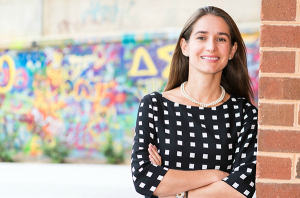 She holds an MBA in International Business from Bentley College in Massachusetts, and a BS in Economics from the Catholic University in Venezuela, recognized as one of the top students of her class at both institutions. Virginia received Honors from the Graduate Honor Societies: “Beta Gamma Sigma”, “Alpha Epsilon Lambda” and the “Who’s Who Among Students in American Colleges and Universities” award. In Venezuela, she was chosen in the top 5% students’ nation-wide to receive a Scholarship from the Venezuelan Government to pursue graduate studies abroad. During her last year of studies in Caracas she was also selected as one of the top students from all the economics schools in Venezuela. Virginia lives in Bethesda, Maryland with her husband and two sons.